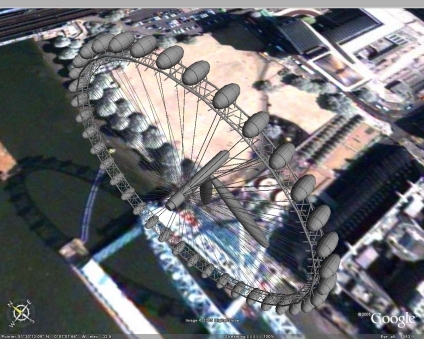 Originally modelled in 3DMax we have slightly revamped the London Eye for Google Earth. There are a few known issues but it illustrates how even complex landmarks can be imported. 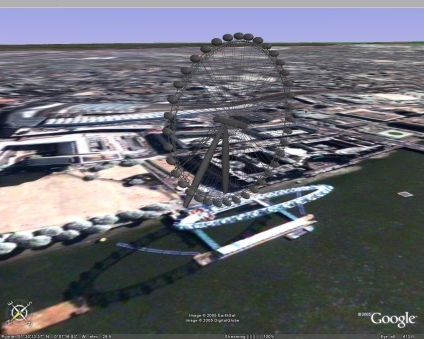 Other models including St Pauls and a view of London in Google Earth can be viewed in previous posts. As ever any comments are welcome.. I just changed the polygon colors to white. it looks great, how do i download it?! I went to google earth to see your model, and i didnt found it. is it there yet or it was a temporary situation ?